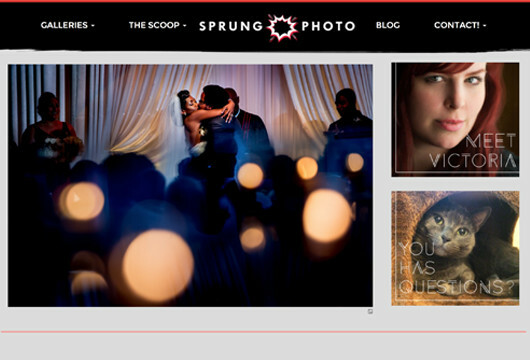 Sprung Photo is an award-winning Chicago wedding photographer based in Chicago. Victoria hired PrettySmart to combine her portfolio and blog sites into one, and also update her visual branding to reflect her increased caliber of work. PrettySmart designed and developed this custom WordPress site to feature Victoria’s alternative wedding photography and attract her ideal clients.